Potassium Supplements: What are They and Why Do We Need Them? Potassium is a mineral that is vital to our health. Without potassium, human vital organs such as the heart and kidneys are unable to function properly. Low levels are also associated with a greatly increased risk of heart disease, high blood pressure, arthritis, stroke, digestive disorders, infertility, and cancer among other issues. While many people try to deal with low potassium levels by changing their diet to include more foods rich in the mineral, there are those who either have trouble absorbing it in through food or have dietary constraints that prevent them from doing so. A healthy alternative is to simply take potassium supplements. How do I know if my potassium levels are low and can't I get it from my diet? If your potassium levels are only slightly low, it can sometimes be hard to tell; as in cases like this, the most notable symptom is mild tiredness or slight fatigue, which could be mistakenly pinned on anything. Why Can’t I Get My Potassium From My Diet? The number one reason why people do not get enough potassium in their diet is simply that they are not eating the right foods. Foods such as bananas, spinach, nuts, and potatoes all contain high levels of potassium, but are not always easily accessible. This is especially true for people who are always eating out and don’t have easy access to potassium rich foods or are not conscious that they are low on the mineral to begin with. If you know that you are lacking in potassium, then eating these and other foods high in the mineral can sometimes help. However, some people simply cannot absorb enough potassium from even foods with the highest levels. There are people who have issues with low intake levels regardless of what they eat, while others sweat out unusually high levels of potassium. Either way, if left unchecked, people with these issues are constantly dealing with low potassium levels and suffer from a condition known as hypokalemia. In cases such as this, potassium supplements may be the only way to get enough of the mineral into the blood stream. So what are potassium supplements? At this point, you’re probably thinking that if you might have to take potassium supplements, then you should know what you’re putting into your body. The simple answer to this question is that potassium supplements are a dose of the mineral large enough to help boost low levels both short and long term. However, there are several different types of potassium supplements and not all of them are exactly the same. Understanding the different types out there might help to make the decision of which to take easier. 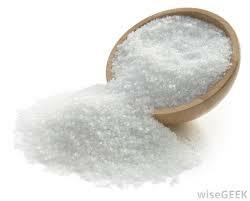 The three main forms of potassium supplements are potassium gluconate, potassium chloride and potassium citrate. Which chemical combination you take depends on the delivery medium. Potassium gluconate/chloride is most commonly used for soluble granule, soluble powder, and soluble tablet delivery systems. Taking the supplement in this manner is meant for quick release and distribution into the body. 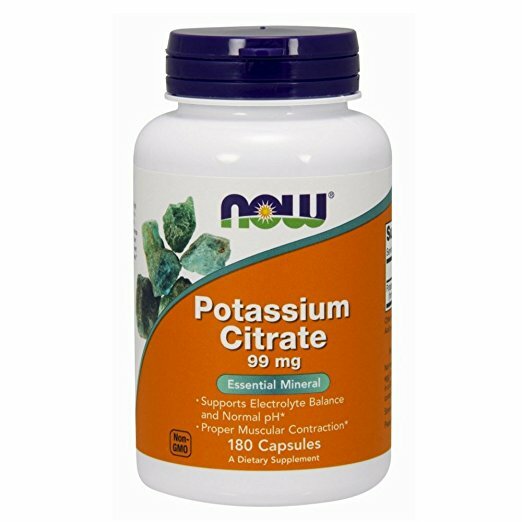 Potassium chloride on the other hand, is used in extended release liquid, tablet, and capsule delivery systems. The chemical combination is designed for a slow release into the system so that users receive a slow trickle of potassium over time. Which type of potassium supplement is most effective for you will vary largely based on your body, diet, age, and any pre-existing health conditions. What about side effects of potassium supplements? Still, most people are not potassium deficient, so do not start taking any supplements without talking to your doctor first. What else should I take with it? If you are wondering whether you should take potassium supplements alone or with anything else, a good multi-vitamin is generally a sound accompaniment. In fact, most multivitamins have potassium in them, and that may be enough to boost your levels. However, for those who have severely depleted levels, a potassium supplement accompanied by a good multivitamin, lots of water, and a healthy diet is a good recipe for increasing the mineral to healthy levels. Ultimately, if you are feeling tired, experiencing muscle pain, or any of the other symptoms listed in this article, a potassium supplement may be just the thing you were missing from your daily regimen. If you are having trouble figuring out if your potassium levels are actually low, consulting with a physician or nutritionist is a good start. If you find that you do need potassium, taking supplements can be the catalyst you need to finally get your quality of life back. For the best selection of potassium supplements at the lowest prices check out Amazon!